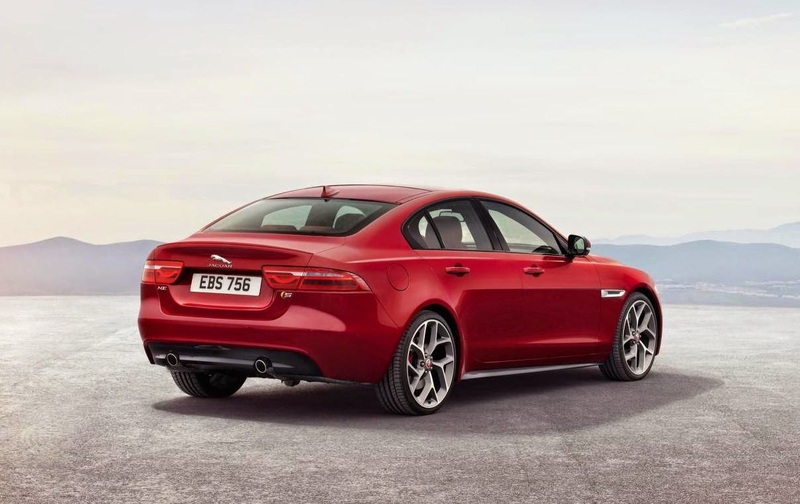 This is the long awaited Jaguar XE, which is pitched against the Mercedes C-Class, BMW 3-Series and Audi A4. 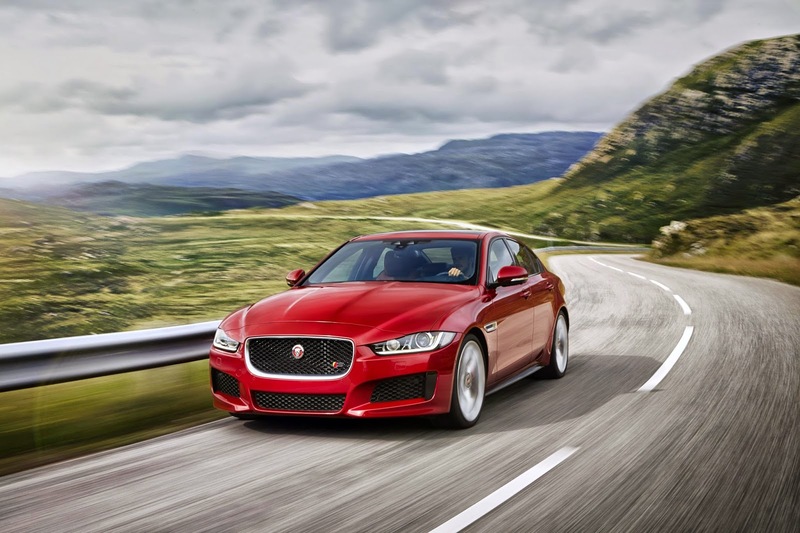 The XE goes on sale in 2015 and will cost from £27,000. 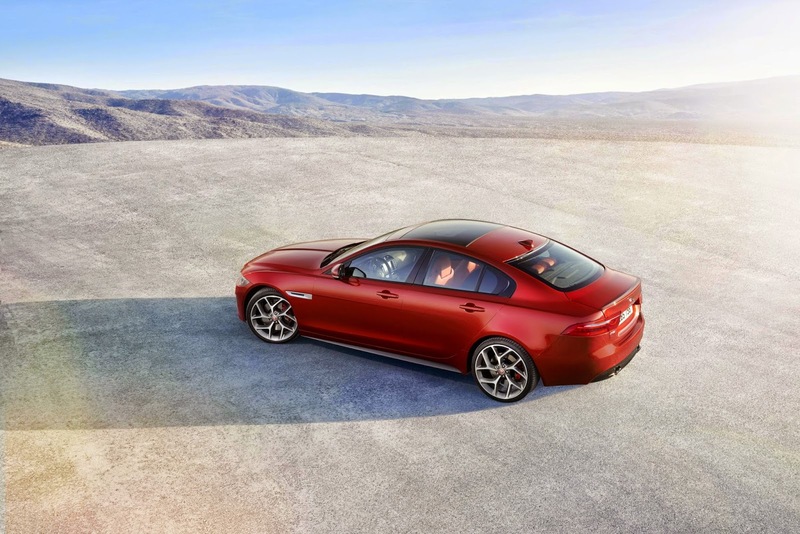 The Jaguar XE is Jag's pitch into the premium saloon market. It's a rear drive, aluminium (mostly recycled) built, low drag, low slung, long-wheelbased, lightweight, beautiful car. 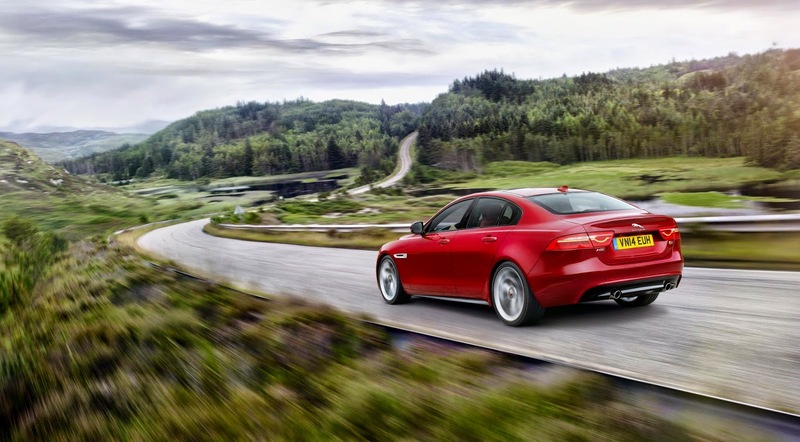 Initially it'll be offered as the XE S with the 3-litre supercharged V6 with 340bhp and 332lb ft of torque. 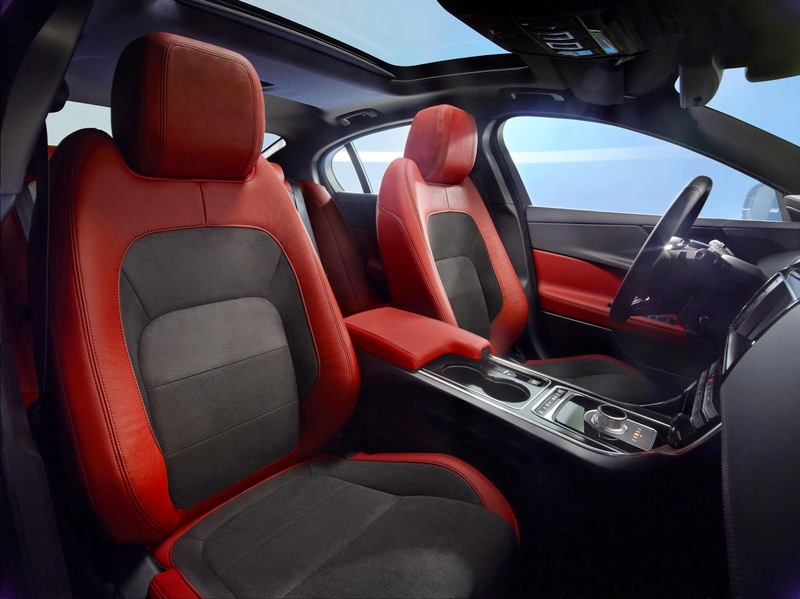 0-60mph takes 4.9 seconds and top speed is limited to 155mph. 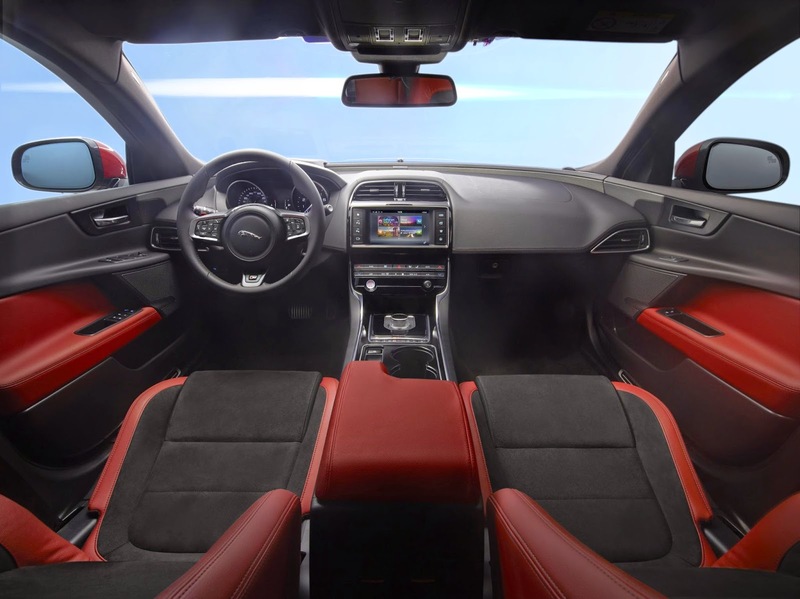 Transmissions will be either a 6-speed manual or 8-speed automatic. 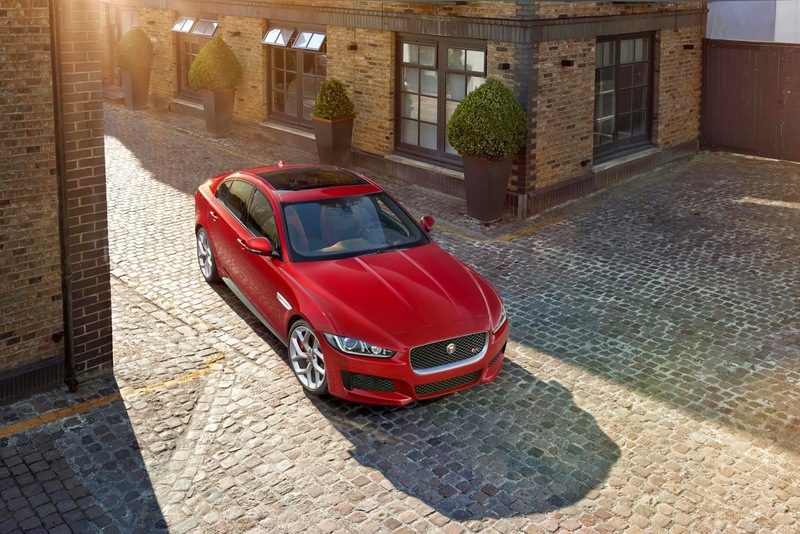 Shortly after launch the XE will get petrol and diesel 2-litre 4-cylinder engines, known as the Ingenium family of engines by JLR. The first of these will be a 163bhp diesel which produces 99g/km of CO2 and returns 75mpg. 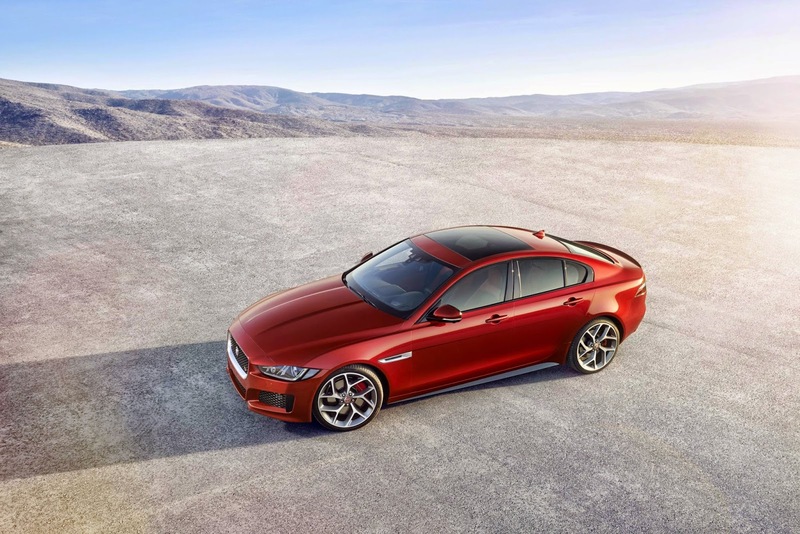 The lightest XE will weigh just 1,474kg. Laser heads up display beams speed, satnav and other information on to the windscreen. All Surface Progress Control uses tech pinched from Land Rover. It controls the car at low speed in slippery conditions. Stereo camera technology accurate measures speed and distance in order to control the autonomous emergency braking system. It also reads road signs and transfers info to the infotainment screen. 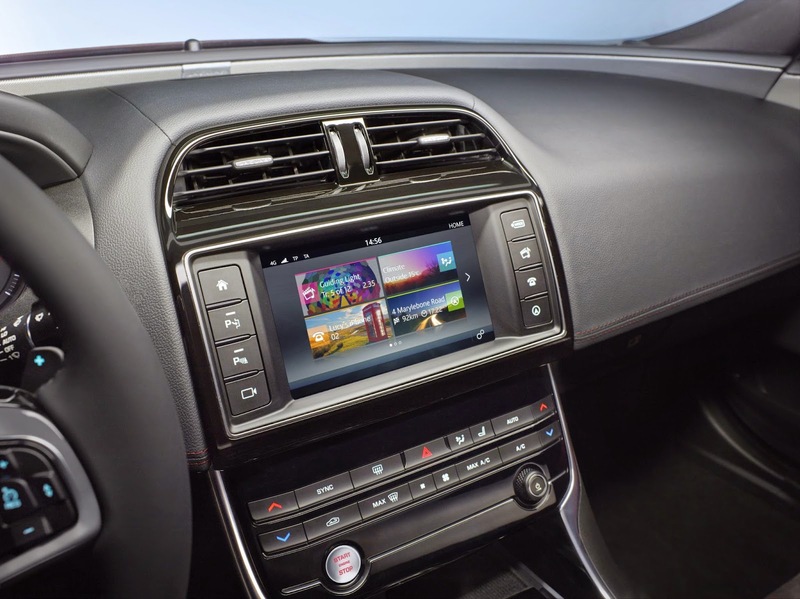 InControl infotainment system. 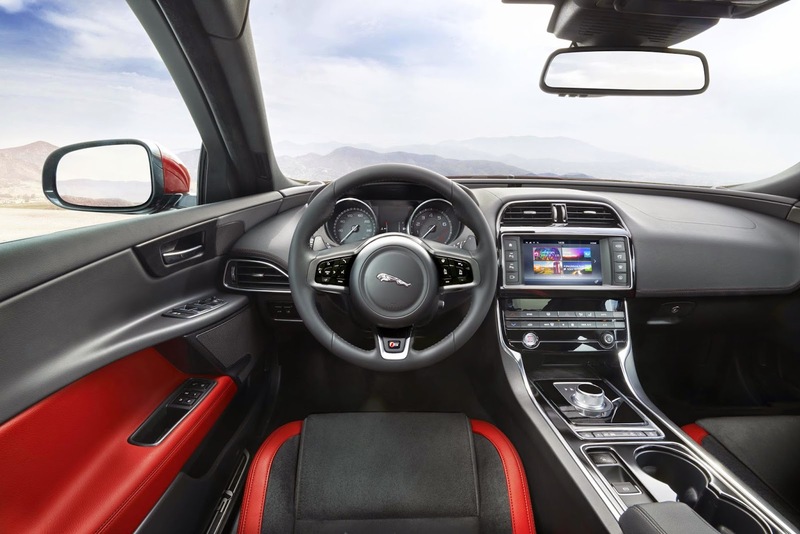 Many journalists (but not me, I quite like it) moan about JLR's current infotainment. 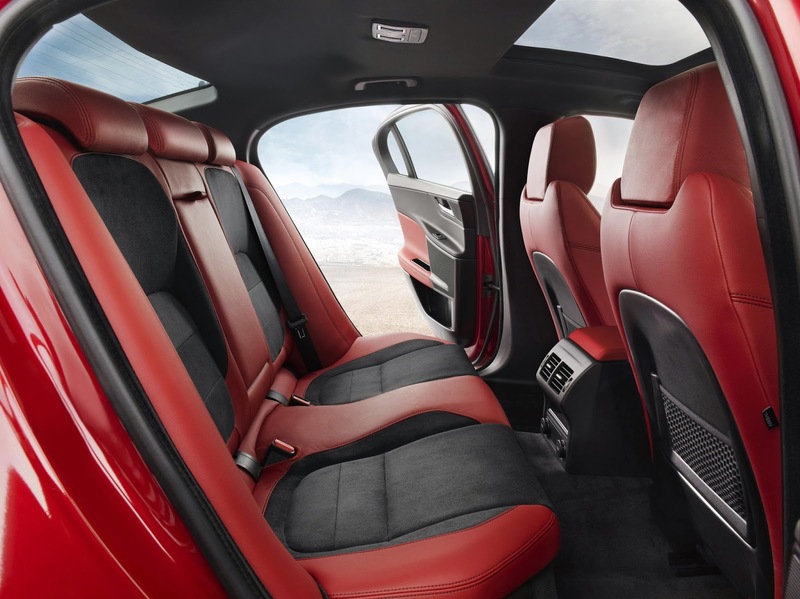 The XE gets an all-new system with all the latest gadgets plus remote functionality so that various items can be controlled from a smartphone. 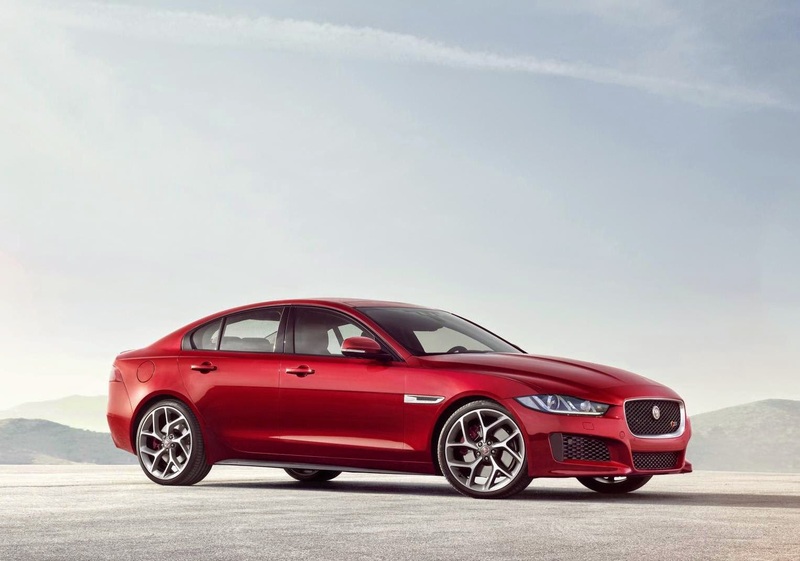 Last but not least the XE is beautiful. Ian Callum and his team have absolutely nailed it. It's the best looking saloon on the market. 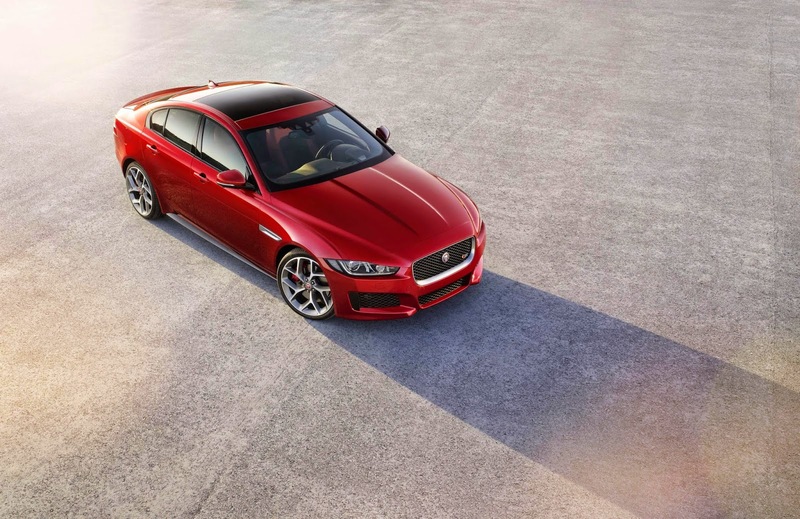 The Jaguar XE will be available in 2015 and will be priced from £27,000.